The Harry Ransom Center: One of the world's finest cultural archives, the Harry Ransom Center houses 36 million literary manuscripts, one million rare books, five million photographs, and over 100,000 works of art. The Center is used extensively for research by scholars from around the world and presents numerous exhibitions and events showcasing its collections. 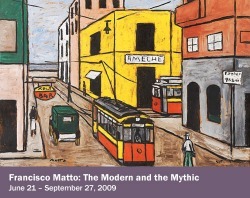 Exhibitions and events are free and open to the public. Austin Museum of Art: With two locations to welcome our city and its visitors, the Austin Museum of Art presents an array of art experiences in the fun, informal, and collaborative spirit of Austin. As a community-oriented museum, we reflect the character and vibrancy of our city. Austin Lyric Opera: Founded in May 1986 as Austin's first professional opera company, the Austin Lyric Opera has rapidly become a cultural touchstone for the fine arts community in the Central Texas Region and gained national-acclaim as a producer of great opera. Joint creators Joseph McClain and the late Dr. Walter Ducloux envisioned a dynamic company that would enrich, entertain, and educate the community as well as make an "opera lover of someone who never walked into an opera theatre." Artsonia: www.artsonia.com an incredible online museum of student artwork, provides teachers and parents an opportuity to post artwork, and if family and friends choose to purchase a product, 15% of the proceeds support that school's art program. See our site in the fall. 201 Colorado Street... a great place to explore for big and small. Hands on exhibits engage and teach! Ballet Austin: Ballet Austin is classically innovative. Through excellence and faithful stewardship, we create, nurture and share the joy of dance. We dance to honor the diversity of the human experience. We dance to enrich our community. We dance with integrity, excellence and passion. Check out the exhibits and the interactive links on the website, a great museum! Besides the Recorder Karate program that we will implement for 5th grade, we will use a variety of resources from this website, check it out! Find out what is happening at the national level--additional resources and links are also available. Become a member, and grow as an educator!